NV Recycling now offers a mobile Hard Drive Destruction Service to protect your sensitive data from exposure to unauthorized persons. Our cost-effective process takes place on-site at your facilities, so you maintain possession and control until the moment of destruction. Personnel records, financial records, medical records, trade secrets, etc. are destroyed with no chain-of-custody or transportation concerns. Up to 200 hard drives can be processed per hour. You schedule the time and place and can witness the entire process. The hard drive is made permanently inoperable and the data storage surfaces of the platters are physically damaged, which renders your sensitive data unrecoverable. 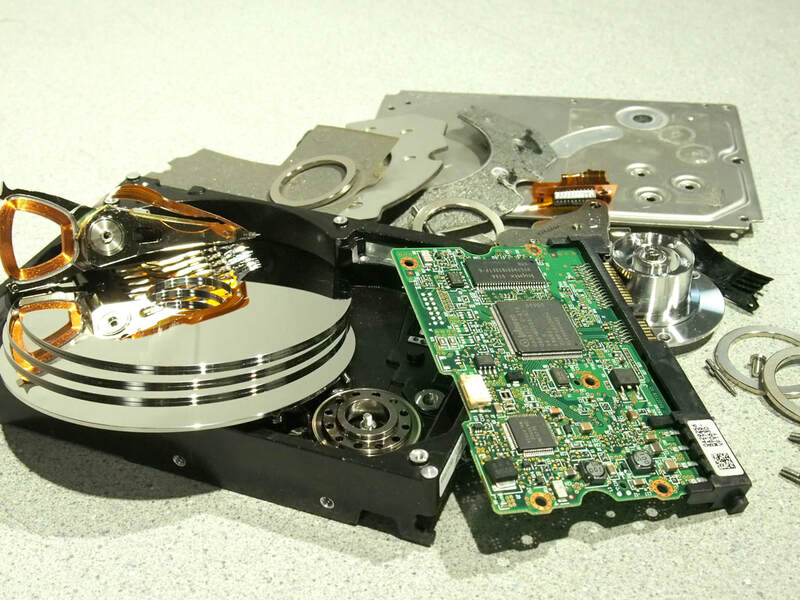 The serial number of each hard drive is scanned and recorded on the Certificate of Hard Drive Destruction before our technician leaves your site. Contact NV Recycling's Data Destruction Service for more information, pricing, and scheduling. $100 minimum which includes 10 hard drives destruction service, Then $10 for each additional hard drive after that. This fee schedule is for customers within 40 miles radius. Customer is responsible to make sure all hard drives to be destroyed are out of hard drive caddies.